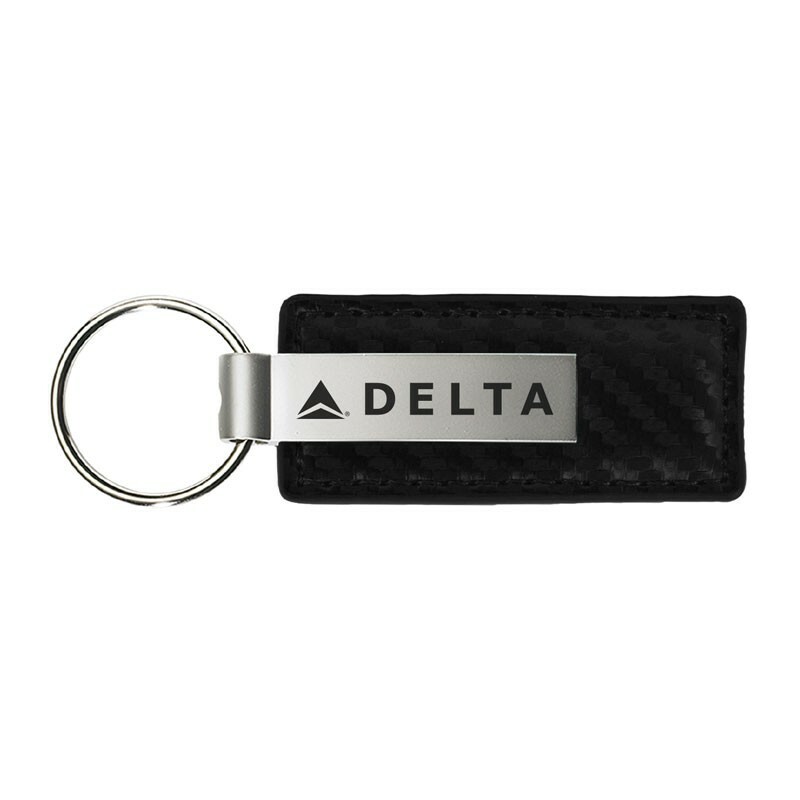 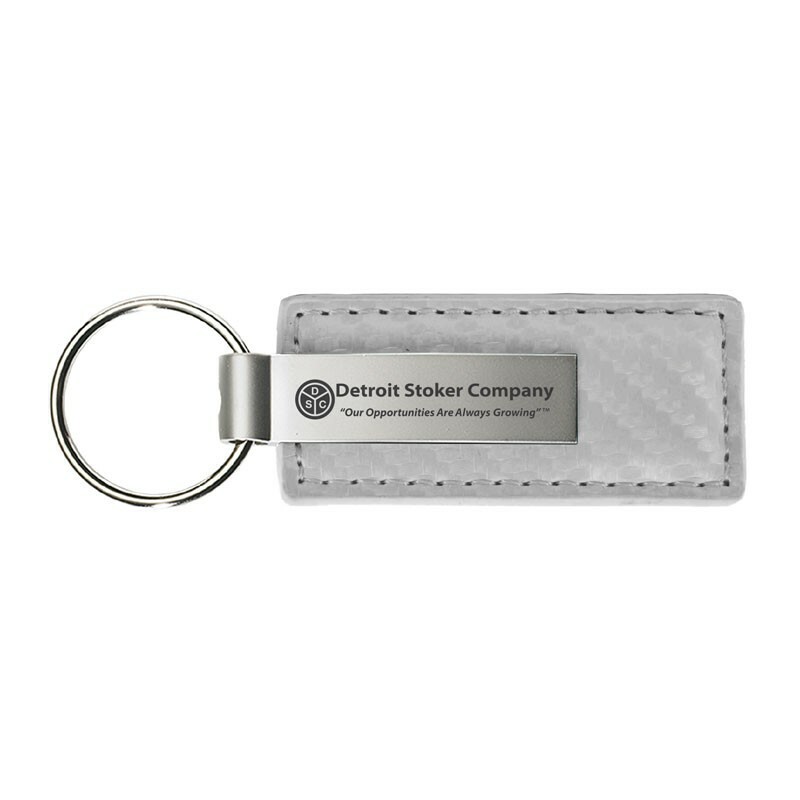 When you select this Carbon Fiber Leather and Metal Key Chain from Sutter’s Mill Specialties, you are receiving a stylish promotional product that perfectly balances sleek carbon fiber and durable leather into an irresistible accessory. 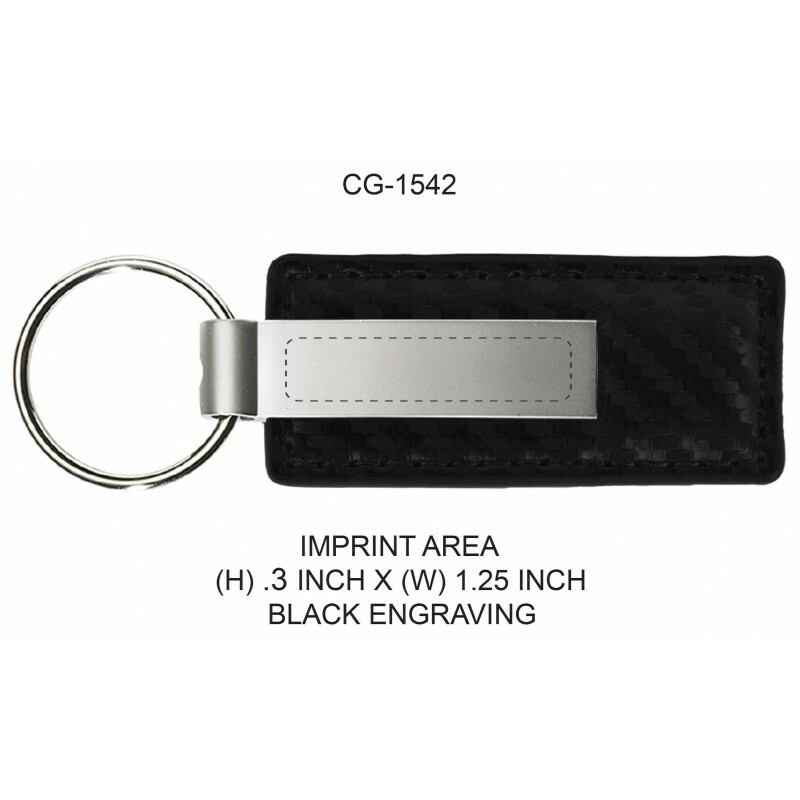 Your logo is laser-engraved on the silver-colored keyring clasp face plate, which in turn is accented by textured leather in your choice of colors. Upgrade even further and customize the second side of the face plate for a small additional charge.